Awarded 'Instrumental Soloist Revelation of the Year' in 2009 by Victoires de la Musique Classique, Romain Leleu is an ambassador for the trumpet all over the world. His personality, generosity and talent enable him to make his instrument better known to a broad public, whether in traditional repertoire, transcriptions or the new commissions to which he gives rise. This new recording, his fourth for Aparté, comprises three previously unrecorded works: Karol Beffa's concerto, premiered by Romain Leleu in 2012, Jean-Baptiste Robin's concerto, composed especially for this disc, and Martin Matalon's 'Trame XII' of which he gave the first performance and is the dedicatee. The works by Jolivet and Delerue are already 20th-century 'classics'. The Orchestre d’Auvergne's first encounter with Romain Leleu occurred with the commission of Martin Matalon's score in 2011. Their rapport spurred the musical director, Roberto Forés Veses, to seek further collaborations and this album is the fruit of their complicity. 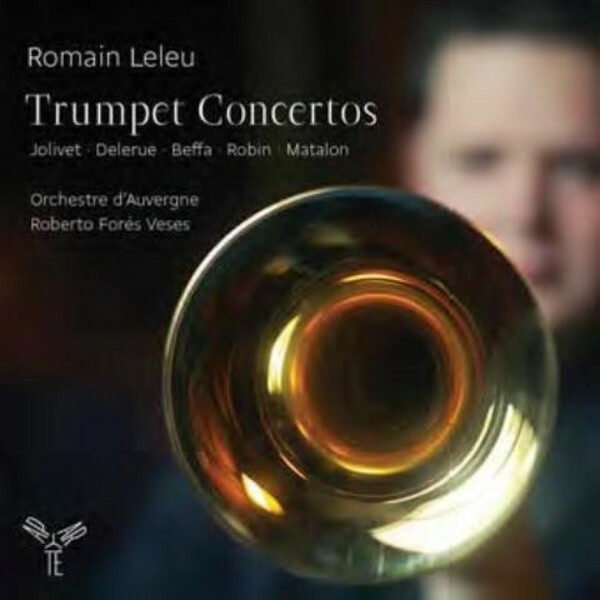 Romain Leleu is foremost in a new generation of trumpet players and the natural heir of the French master, Maurice André, based on the virtuosity and natural ease of his playing. With an ever widening repertoire, Romain has been featured as soloist both in France and abroad. Following his recording of well-known trumpet sonatas on the Aparté label, his recording of major classical concertos (Haydn, Hummel, Neruda) earned RTL’s Classique d’Or, a 5 from Diapason, and was widely praised by Pizzicato and Resmusica. His album 'Sur la route' on which he performs with Convergences was given a warm welcome by the listening public and was one of the best-selling classical discs of the year.